Modern homes are typically open plan, with large windows, made possible by the use of toughened safety glass, and the sleek, contemporary look can be enhanced with glass in many other ways. Next time you are in a shopping mall, take a look at how glass if effectively used and you will be surprised. Balustrades, glass screening and even seating areas are things you will encounter on a regular basis and with the modern home now incorporating glass, there is no reason not to use this versatile and clean material with home improvements. If you live in a multi-level home, you will have a staircase of some description, which, of course, would have a balustrade, and while it might be adequate as protection, it doesn’t really contribute anything to the design concept of the room. Glass balustrades are ideal as they blend in with the surroundings and are especially elegant in a contemporary setting. 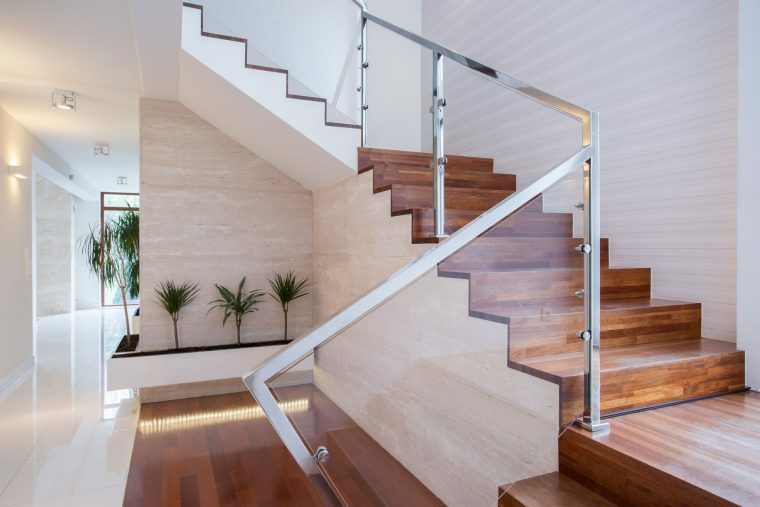 The clean look goes very well with stainless steel and concrete, and with a choice of semi framed or frameless, you can create a unique look for that staircase, which is many ways, is a focal point of the room. The need to conserve water has already made the shower a popular alternative to the traditional bath, and there’s no better way to enclose it than made to measure shower screens. With a choice of frameless or semi frameless, any design concept can be enhanced by using glass shower screens, and with zero maintenance and easy cleaning, there is no better material for the bathroom than glass. From the initial design phase to the installation, Jigsaw Balustrades can provide you with a unique bathroom accessory that is both functional and aesthetically pleasing. Should you wish to discuss your options, simply fill in the quote form or talk to one of our friendly staff, who are always happy to help with any aspect of our products and services. If you have a balcony, you will no doubt appreciate the view, and if it wasn’t for the balustrade, it would be unrestricted, well, with glass solutions, you can have the best of both worlds by ensuring safety without compromising on visibility. This enables you to screen the wind without losing the view, which after all, is the best part of having a balcony. If you are fortunate enough to have a pool in your garden, then glass is the ideal material for fencing, as you can always see what is happening inside, and in some cases, this could save someone’s life. Glass screening is ideal for walkways in the garden, and with zero maintenance they will always remain in pristine condition. Our professional service means design advice to help you come up with the best solution, and with client satisfaction at the forefront of our mind, we can always find the ideal combination for any home environment. Whether you want to improve the interior, or give your garden a modern look, glass offers the homeowner a range of possibilities that are effective and maintenance free.